→SocialPilot Review ~ How to post to Multiple Social Media Accounts at once! SocialPilot Review ~ How to post to Multiple Social Media Accounts at once! SocialPilot Review ~ Presenting a social media app to help you share to hundreds of Social Media Accounts with a simple click! Link my blog’s rss feed url so articles I post on my blog instantly get spread all over social media. Manually schedule campaigns that will be posted at any set time in the future. Create and post campaigns instantly to selected social media accounts. If you’ve been blogging and using social media as a platform for exposure, you know how much pains it takes to manually share to different accounts and groups. With over 10 social media profiles, manually sharing recent articles or interesting items on these profiles drastically reduces production time. This of course makes you less productive. The solution is to get a tool that will help you effortlessly post to your numerous social media accounts without risk of being banned. I think you need to give SocialPilot a try. There are tools out there that do the exact same thing but at the price of your leg. I believe social posting tools don’t have to be expensive. Let’s look at some simple things to do to start benefiting from this user-friendly tool. One of the first things you may want to do is link your social media accounts. At the moment of writing this review, you are able to to connect Twitter profiles, Facebook profiles and pages, LinkedIn Profiles, Pages and Groups. The next thing is to put these social media account in different groups. Groups will help you put your multiple accounts together to easily share posts and contents. What I love about this tool is the ease to create and instantly share a post to all social media account or schedule it to be automatically shared at any future date. 3 – Select when to post. “Share Now” will instantly start posting to different accounts. The “Schedule Post” option will pop up a calendar enabling you to set a date in the future. This is the biggest time saving feature. Often, after hitting the publish button, you’ll have to start jumping from one social media platform to the other. With SocialPilot, this task becomes redundant. All you have to do is add your feed url once and each time you publish a post, this tool will take over. This will also help eliminate some post sharing plugins you have sitting there on your blog and wasting your resources. LongURLs in post often are a problem. This makes things even more difficult with Twitter where character limit forces users to count their letters. Socialpilot is cheapest in the industry so far. Prices are quite affordable for the premium service. SocialPilot is good so far. I’m a satisfied user. However, Google Plus, one of the most used social media platform is still left out. I have nevertheless spoken to the guys behind this platform and they assured me that this will soon be available in the next updates. Kudos! Great! That’s an awesome work. Social media always give us huge traffic, and bye this method we can drive more traffic. Thanks for the share bro. cheers! Awesome review. Great tool with great features and having low prices. This tool will help to save our some great time. Wow really nice tutorial its really awesome and very helpful thanks. Thanks for recomending this great tool I think i have an account there but stll am gonna check out once. Thanks for introducing us to this awesome plugin. I have been using buffer for a while and was looking for any alternatives to it with some advanced features, and this seems to be the plugin that satisfies my needs and provides some advanced features. Another Genuine Review from Enstine. 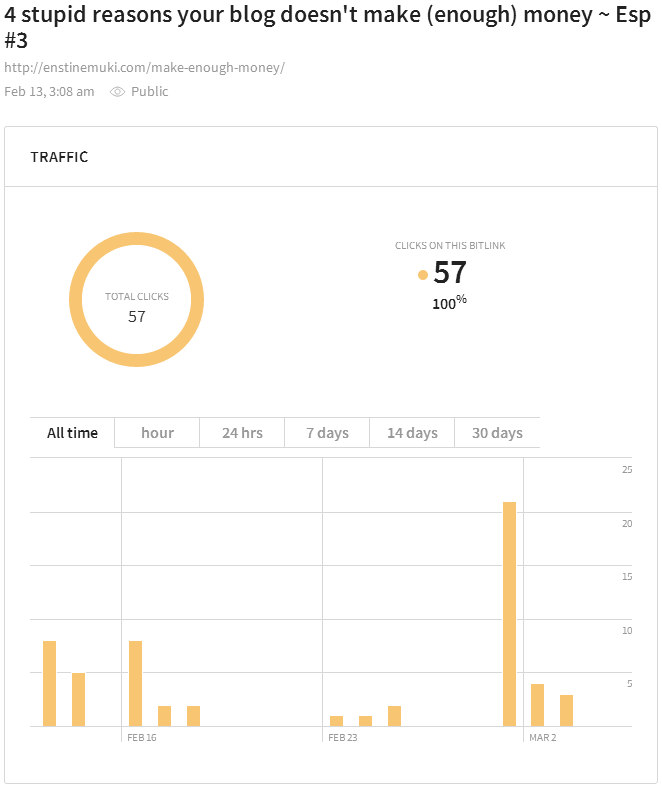 I’m quite impressed with your review,now i want to use this tool to publish my blog posts instantly on social media.By the way i’m using networkedblogs to publish my blog posts on social media. Hi Enstine, although am using twitterfeed to send my post to social networks after published but I can see you have a great tool here that allows scheduling of posts which is making the service attractive to me. May I ask can posts be scheduled every one hour (scheduling a post to repeat itself every an hour) and is Facebook groups allowed with the service. Thanks for telling us the awesome plugin. I hope it will help all the bloggers to promote their post. I will try to follow this post. Hope you give us more post like this. Thank you again. Extraordinary! That is a great work. Online networking dependably provide for us gigantic activity, and bye this system we can drive more movement. Much obliged concerning the offer bro. salud! This is an amazing tool. Even I am using it and finding very helpful. You are so kind that sharing your great experiences with all. It can be helpful for so many. Thanks for the detailed review. Have a great day! Thanks for your wonderful review about our service SocialPilot.co. Hope all your readers and bloggers find it interesting. We also have android app and chrome extension to make your content sharing experience a lot fun. I suggest all your readers to try that too. You guys have definitely come up with an awesome tool. It’s really helps me save tons of hours in sharing on social media. Another Awesome review Sir. I have used buffer to save time and to share my content on social sites. Thank you for sharing the review about socialpilot..
this tool seems too interesting to ignore, and the price is perfect for small business. In your opinion, how’s this compared to the popular ones (sproutsocial, hootsuite, etc..)? Do they plan to integrate Instagram too? Very Interesting post. This post will be useful for me to engage in social media sites. Thanks for sharing this. Great review about Social Pilot indeed! It has really great feature. We can share our post to lots of social networking sites with just one click. Really amazing and it’s cost is not high. Thanks Enstine for telling us this great tool. Social Pilot is a very important tool for all the bloggers. I am a great fan of its features and easy setup.Especially I love to schedule my blog post to get a high click through.. Social Pilot is an excellent value for money.